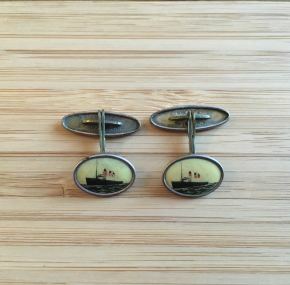 Lovely set of portrait cuff links for Cunard’s Berengaria. Wear them on your next Cunard cruise! 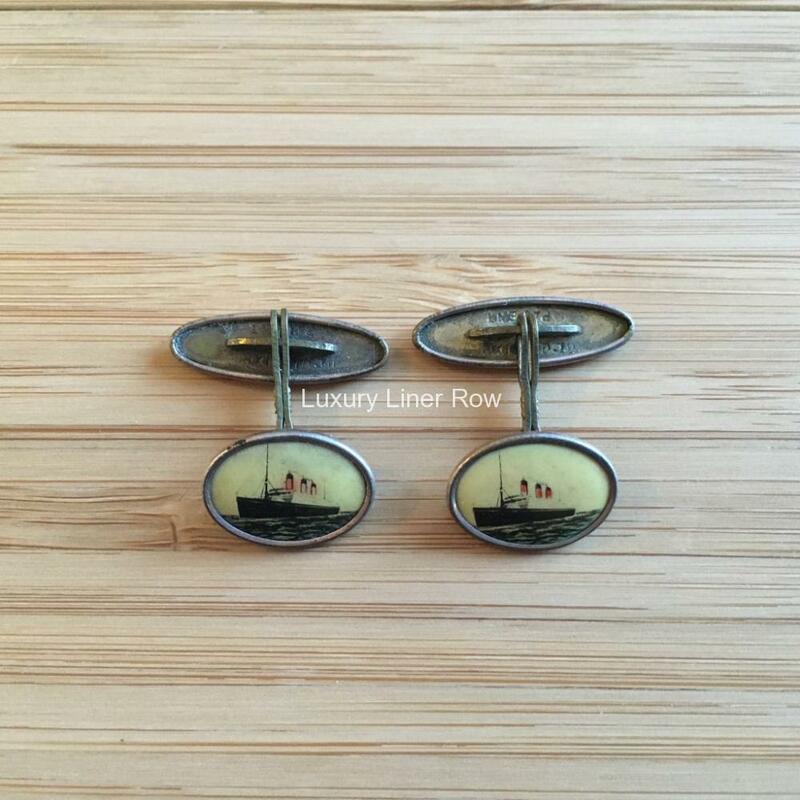 I have a few cuffed shirts; so I can wear my ship cuff links, and it is always popular. These cuff links come from the estate of Ron Johnson, Operations Manager of Cunard in the late 1960’s. He started with Cunard in 1926 and retired in 1971. I recently purchased all of the ocean-liner items from his estate, and they will be put up on Luxury Liner Row over the next few months. Ron loved the Berengaria and had a lot of items in his collection from her. He sent his mother over to the UK on a Christmas crossing in 1933; so I wonder if he got these cuff links then.